Switzerland takes great inspiration from the experiences of its ex-patriots. This is why the link with the Fifth Switzerland is essential to promote exchanges. In order to achieve this, numerous activities and services are suggested to Swiss people living abroad. Many splendid offers for young people in Switzerland, holding the traditional Congress of the Swiss Abroad in a different place in the country each year and the network of Swiss schools around the world all form part of this fine selection of offers aimed at the public of the Fifth Switzerland. In August 2018, the 96th Congress of the Swiss Abroad will take place on the theme of "Switzerland without Europe – Europe without Switzerland”. However, the relationship between Switzerland and Europe is an issue that largely extends beyond the European question. For the occasion, the Organisation of the Swiss Abroad (OSA) wishes to present portraits of the Swiss abroad related to the congress theme and to find out more about their impressions of life as Swiss living abroad and their view of international cooperation between their countries of origin and residence. Get involved! In the run-up to the Congress, we'll be presenting a new profile every week on our websites and social media channels which we'll select from the most interesting submissions. Send us your answers to the questions below with your name, country of residence and a portrait photo by e-mail to swisscommunity@aso.ch. The submission deadline is 28 February 2018. 1.) How connected to Switzerland do you feel? 2.) When was the last time you felt really proud or ashamed of Switzerland? 3.) 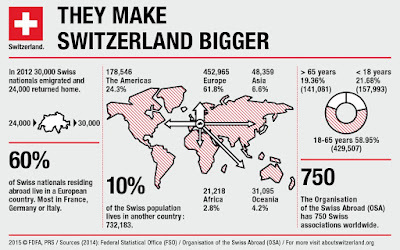 How is Switzerland perceived abroad or in the country where you live? 4.) What do the bilateral agreements and treaties bring to Switzerland? What positive or negative experiences have you had in this regard? 5.) How are these bilateral agreements and treaties seen in the country where you live? 6.) 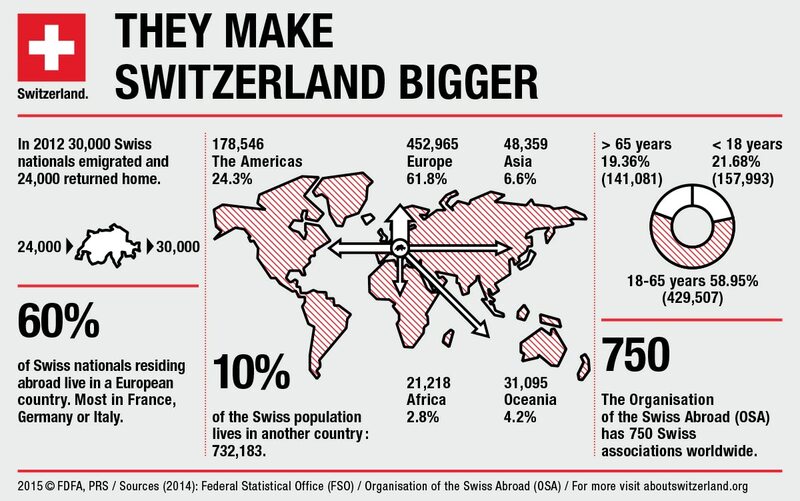 What does the free movement of persons bring to Switzerland? What aspects could be dealt with better here? Are you personally taking advantage of this freedom? 7.) What are the benefits of dual citizenship in your view? By participating you consent to the display and sharing of your photograph, name, country of residence and answers on the internet. There is no payment for participation. Further information in German and French is available on www.aso-kongress.ch.